To come back as a band and reform is one thing, but to come back as a band and replace a late iconic frontman such as Layne Staley is another matter entirely. When Alice in Chains announced that they would be reforming with Comes With The Fall vocalist William DuVall, the man who supported Alice in Chains guitarist Jerry Cantrell on his solo tour for ‘Degradation Trip’. With this announcement, the rock, metal and alternative music world waited with bated breath as to what this venture would bring. 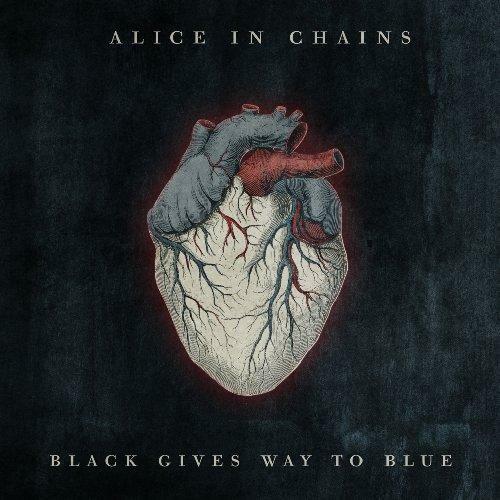 The fruits of this labour would be ‘Black Gives Way to Blue’, an album which would contain everything that any self-preserving Alice in Chains fan could ever want short of the resurrection of Staley himself. DuVall effortlessly slips in as Staley’s replacement, working perfectly alongside Cantrell as the duo weaves their ethereal harmonies against the droning melancholy of one of Seattle’s best loved bands. Although ‘Black…’ does have fantastic harmonies, it does lack some of Staley’s writing and his unique bleak take on the world. However, Cantrell shows that he has lost none of his song writing prowess and when coupled with DuVall, it has created a brand-new dynamic within the band. If anything, Cantrell’s writing abilities have improved with the talismanic blond guitarist gaining an adult maturity which can be seen during the excellent single ‘Check My Brain’ and the title track, a beautiful sombre ballad dedicated to Cantrell’s friend and former vocalist who once fronted this legendary band. It could have been debated that by 2009, an Alice in Chains reunion and album may be out of touch and time. Yet, ‘Black…’ certainly proves this wrong, there has certainly never been a better time for the return of the bands depressing grind and tracks such as ‘Last Of My Kind’, ‘A Looking In View’ and ‘Private Hell’ sound just as good now as the band ever did, making ‘Black…’ the perfect counterpart to the previous Alice in Chains albums. Yes, ‘Black…’ is a different frontman, but it does sound musically indistinguishable from what has gone previously. The album does give that tingling sensation of nostalgia, but it easily manages to invoke teenage memories without taking away from the memory of Staley, but most of all, it provides something new and exciting in the chapter of Alice in Chains.